The civil suit against An Waray’s Florencio Bem Noel was filed before the Tacloban Regional Trial Court’s Office of the Clerk of Court in November last year by his former business partner, Divina Bunales. MANILA, Philippines — A former party-list lawmaker is facing a P7-million civil case over his alleged failure to pay a business partner for the construction of around 684 housing units for Super Typhoon Yolanda victims. Apart from Noel, authorized representative of Performance Builders and Developers Corp. (PBDC), the suit also named co-subcontractor Mary Ann Camulte as accused. Bunales is asking Noel and Camulte to pay her an aggregate amount of P7,060,000 as her proportionate share in the Knightsridge housing project and Camansihay Covered Court. Aside from the aggregate amount plus legal interest amounting to six percent per annum from July 4, 2018 until the full payment of the obligation, she also sought payment of damages amounting to P200,000 for wrongfully excluding her in the partnership and legal fees worth P150,000. In the complaint, Bunales said she was subcontracted by PBDC in July 2016 for the construction of 200 units in the National Housing Authority (NHA) housing project at Knightsbridge Residences, Barangay Camansihay, Tacloban City. From the 200 units, Bunales said she shared six units to Camulte and eight units to architect Aileen Abella. Bunales was able to fulfill her commitment to PBDC on time and they were paid P1.5 million as partial payment. In November 2016, Noel became the authorized representative of PBDC for the Knightsbridge project, with the authorization of NHA. Noel undertook to finance the construction of the remaining 800 units, 400 of which were given to a subcontractor while the remaining 400 were contracted by him. Noel and Camulte approached Bunales and asked her to become their industrial partner in the field of construction for the resumption of the Knightsbridge project. Noel and Camulte agreed to pay Bunales a profit share of P6 million for the complete construction of 400 units. 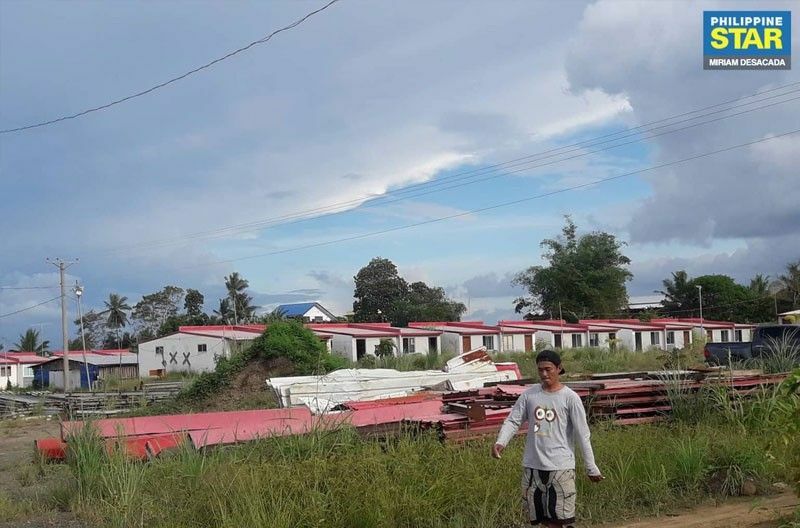 The former House member was impressed by the speed of Bunales’ construction so he asked her to supervise the construction of an additional 284 housing units amounting to P4.26 million. Noel also asked her to undertake the construction of a basketball court for a compensation of P300,000 or a total of P10.56 million. But Noel failed to pay Bunales on time. From the total of P10.56 million, the defendants paid only P3.5 million, leaving a balance of P7.06 million. Also, things turned sour between them after Camulte claimed that there were untraced and unliquidated funds amounting to P20 million, but Bunales insisted that it should not affect the amount due her. Due to her strained relationship with Camulte, Bunales was forced to withdraw as industrial partner and demand for the payment of her long overdue profit share. Bunales said she requested for a meeting with Noel several times to demand for her payment but to no avail, forcing her to get a lawyer. The development permit for the housing project, Knightridge Village, was temporarily suspended on April 16, 2018 after heavy rains and flooding caused a landslide in December 2017 that destroyed a row of unoccupied housing units, pending the compliance by PBDC of the construction of a storm water drainage, slope protection structure and green infrastructure. Construction resumed when An Waray through Rep. Victoria Noel informed the city government of Tacloban in a letter dated April 23, 2018, that it has requested for soil/slope protection, reforestation and drainage for the housing project, the same conditions imposed on PBDC. Despite earlier assurances made by the NHA that no sub-contracting permits were allowed, issued and authorized in the case of the Yolanda housing projects, documents obtained by their association indicate that Noel allegedly applied for the development permit, signed the constructor’s affidavit and received payment for the construction. Go insisted that “illegal subcontracting has resulted in higher inefficiency and the poor quality of housing being constructed. “This reflects the sorry state of the post-Yolanda reconstruction, which is creating more problems than solutions,” Go said. Go called on the Commission on Audit to look into these allegations of illegal subcontracting.